BARRON, Wis. – A man accused of kidnapping a 13-year-old Wisconsin girl and killing her parents has been ordered to stand trial after waiving his right to a preliminary hearing. Twenty-one-year-old Jake Patterson gave brief answers to the judge Wednesday. He acknowledged he was giving up his right to a hearing at which prosecutors would have had to show they had enough evidence to warrant a trail. The judge then set arraignment for March 27. 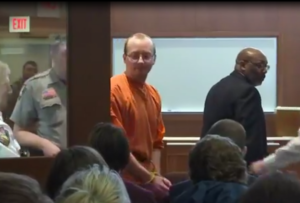 Jake Patterson is accused of killing James and Denise Closs on Oct. 15 and kidnapping their daughter, Jayme Closs, from their Barron home. Jayme escaped on Jan. 10.